Cölbe, GER, 28. March 2012. Testing institute certifies top yield to the Wagner & Co thermosiphon system SECUterm 160 / 200. SECUterm with its powerful solar collector EURO L42 TS and optimized heat insulation marks the performance peak among thermosiphon systems. Thermosiphon systems have been around for a long time – the first systems having been patented by William Bailey in 1909. 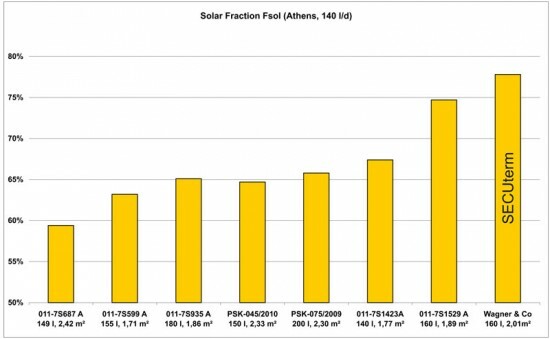 At Wagner & Co Solar Technology we asked the question, if it is possible to notably improve this tried and tested technology. The engineers at the development department analyzed existing and historical systems to figure out weak spots that would offer room for optimization, and several were found. A new system was developed entirely from scratch, based upon the multi award winning EURO collector series and state of the art storage and heat exchanger technology. The Wagner & Co philosophy always is to improve and fine tune every component of a system, which in this case meant thorough insulation of all pipes and valves – including short lengths of pipe and small areas – and integrating the solar return pipe within the newly designed EURO L42 TS collector. Another novelty that separates SECUterm from its competition is a thermostatic valve within the solar feed leg. 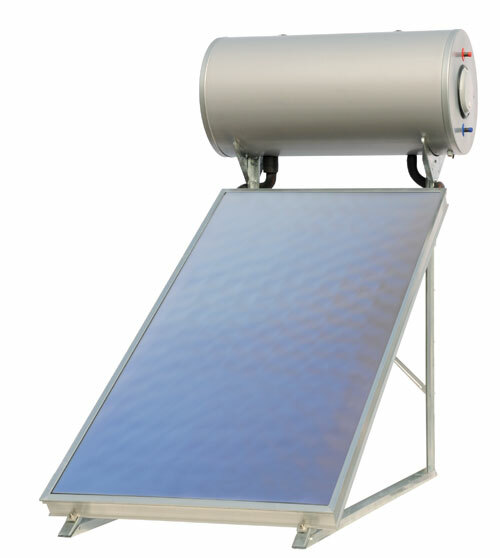 It reliably avoids overheating and all the associated and potentially dangerous problems, including scaling, loss of solar liquid, steam blow offs and damage to components. Recently the SECUterm 160 P system was tested and analyzed at the TZSB-Test site, which is part of the renowned Institute of Future Energies in Saarbrücken/Germany. 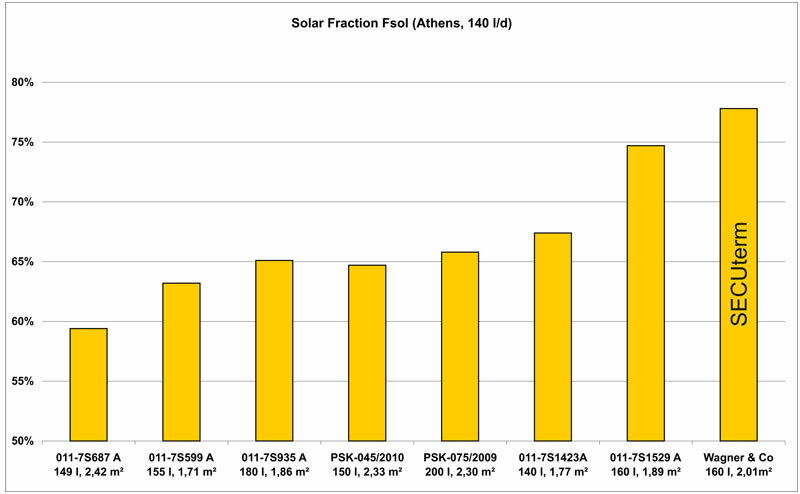 It easily met the requirements for the Solar Keymark label and clearly came out as the best performer of all tested thermosiphon systems. In fact SECUterm’s yield exceeded that of the average competitor by almost 30 percent, underscoring the Wagner & Co goals of high performance combined with long operational lifetime.